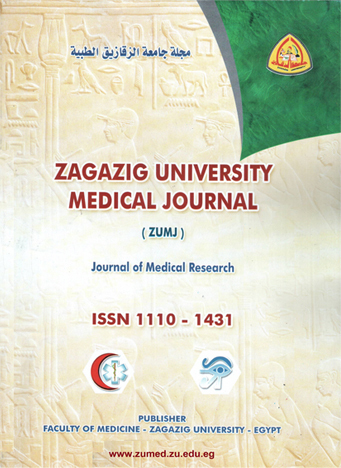 Obstetrics and Gynecology Department Faculty of Medicine, Zagazig University,Egypt. Background: - Endometriosis is really a serious, estrogen based, inflammatory disease characterized by the growth of endometrial stroma and glandular epithelium in areas outside the uterus and is particularly associated with pelvic pain and infertility. Laparoscopy is the primary method of diagnosis of endometriosis as it can identify superficial peritoneal implants. COS-IUI enhanced fertility in women with minimal or mild endometriosis. Objective: -was to evaluate the effectiveness of controlled ovarian stimulation in addition to intrauterine insemination (COS/IUI) versus conservative management after laparoscopic surgery (resection or ablation) in infertile women with ASRM stage I ∕II endometriosis. Methods: - this prospective study included 40 infertile patients with minimal or mild endometriosis. The affected individuals underwent laparoscopic surgical procedures that involves destruction or removal of all visible endometriotic implants and also lysis of adhesions. After laparoscopic surgical management patients were randomly divided into 2 groups:- Group A: - included 20 infertile women who were managed surgically and left to conceive spontaneously for one year (follow up period). Group B: - included 20 infertile women who were managed surgically and followed by controlled ovarian stimulation and IUI (COS/IUI) up to 4 cycles within one year period. Results:- In group A, the pregnancy rat /couple was 15%.and pregnancy rat /cycle was 1.42%.on the other hand in group B, Pregnancy rate /couples was (35%), and a pregnancy rate /cycle was (11.47%). in group B the pregnant rates were significantly higher than that in group A. There were highly statistically significant difference regarding pregnancy rates per couple and pregnancy rates per cycle between both groups (p =0.049). Conclusions: - The present study revealed that the women who underwent COS and IUI up to 4 cycles had a higher pregnancy rates than those who were expectantly managed after surgical removal of minimal or mild endometriosis.